Right through the year, Warners offer the best live entertainment around, superb facilities and a huge choice of leisure activities. 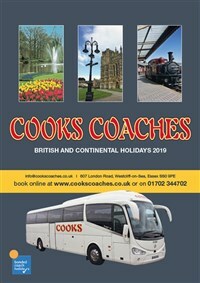 The Cooks Coaches 2019 selection starts as early as January and includes dates right through the year for most of the holiday centres - Coastal Hotels, Country Hotels and Coastal Villages - according to your preference. (The descriptions of some of the centres have been changed in accordance with upgrades and refurbishments undertaken by Warners). Also we have a number of superior/signature rooms in our allocations to offer an extra bit of luxury for a small supplement. 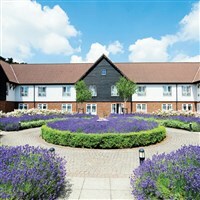 SINAH WARREN, HAYLING ISLAND http://www.warnerbreaks.co.uk/. After an extensive and tasteful renovation and redevelopment Sinah Warren is a Coastal Hotel. The south coast venue on Hayling Island  it is by a shingle beach and overlooks Langstone Harbour - has always been popular but now the amenities on site have been dramatically improved to include a leisure centre and indoor swimming pool as well as all the other usual facilities. Bird watching and cycling is always popular here. The Pavilion Cabaret Theatre is the place to be in the evening. The coach does not stay, but excursions are offered to many interesting locations in the area.